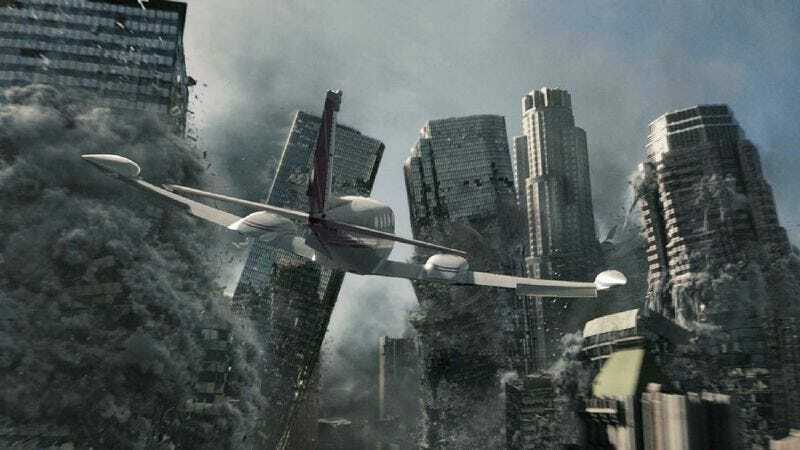 As the year 2012 approaches and the omens of impending apocalypse become more frequent, people are increasingly heeding the prophecies of our future—like Roland Emmerich’s 2012, which posits that the only hope for surviving the Mayan-predicted end times involves being rich enough to get a seat on a giant hovercraft. Perhaps hoping to book their tickets early, many people have been turning to NASA with their concerns; in fact, according to Donald Yeomans, head of NASA’s Near-Earth Asteroid Rendezvous mission, “The agency is getting so many questions from people terrified that the world is going to end in 2012 that we have had to put up a special website to challenge the myths. We have never had to do this before.”Accordingly, that site addresses the many supposed catastrophes the film says are headed our way, using science and skepticism to allay apocalyptic fears and assure us that none of the cinematic catastrophes predicted by Emmerich’s film will happen next year. Which is just what they want you to think. There are only so many seats on those ships, after all. As long as it was busy being the guy who’s all, like, “That wouldn’t happen” in a snotty voice and ruining the fun for everyone, NASA went ahead and called attention to some other science-fiction films that are totally factually absurd, even ranking them in order of how much they stray from reason. Deeming 2012 the silliest of them all, the agency’s runner-up was The Core, which featured Hilary Swank drilling into the center of the Earth to blow it up with nuclear missiles and get the planet rotating again and save its electromagnetic field or whatever; reportedly Yeomans was asked to act as a consultant on the film, but he walked away after reading the script, for some reason. In the interest of fairness, the group also praised a handful of films for their plausibility; intriguingly, the “most realistic” list extends much further back than the list of silliness, suggesting Hollywood’s abuse of science is actually getting more flagrant over the years. Or that no one at NASA has seen, for example, Robot Monster. And while it didn’t make the list, Blade Runner was also singled out as a convincing portrayal of a futuristic Los Angeles that’s just a few years away now. So it’s perfectly reasonable to suggest that the world will soon be a cold, ruined place lorded over by autocrats and swarming with genetically engineered serfs and possibly dinosaurs. Just don't start bringing solar storms into it. Everyone should adjust their paranoia about the coming years accordingly.